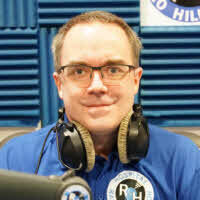 Hello, I joined Radio Hillingdon in early 1994 and assisted on various programmes, my first time on air was with Steve Hickman on Saturday mornings between 10am-12noon and it was left to me to read out the Horoscopes for the day. Soon after that, my first weekly programme was the Wednesday 7pm slot and i was soon covering many programmes at various times including weekend breakfast programmes for a while. I became Programme Controller in 1995 and was elected Station Director in 2001 working alongside Terry Savage and was part of creating the start of the 24 hour Radio Hillingdon programming you can hear now. In 2006 I moved to scenic Hampshire and I now present programmes on Winchester Hospital Radio, but can't resist driving up to Radio Hillingdon to present programmes now and again.